Our two-party system of government will work at its best only when the participants represent the people not only in terms of political philosophy, but also in ethnic, racial, and religious diversity. Irrespective of who ends up winning the seats up for grab in races all across the nation in the November election, minority groups — particularly African-Americans — are in a great position to become very engaged in the two-party political process and make it work to address their interests. It is also a great opportunity to dispel some harmful perceptions and labels. One prevalent view is that most blacks are more liberal than conservative and therefore belong, or should belong, to the Democratic Party rather than the Republican Party. Along with that view, other philosophical assumptions often come into play. On the individual level, there is a prevalent belief that most blacks believe in welfare and affirmative action programs rather than a good job and minimum taxes. On the organizational level, there is the belief that the Democratic Party is more inclusive, empathetic, and supportive of the needs and interests of blacks than the Republican Party. While that may be case, the premise warrants frequent and close examination. Among ardent die-hard Democrats and Republicans alike, these stereotypical notions could stir heated debates in many circles. But past and recent history could provide interesting facts to engage the discussion. For example, did the appointment of African-Americans in important positions in the George W. Bush administration represent a genuine effort of inclusiveness? 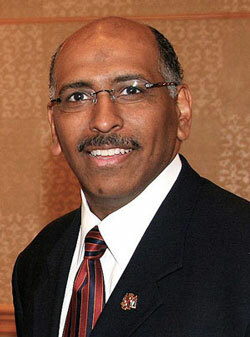 Was the election of Michael Steele as the chairman of the Republican National Committee a real sign vs. a “counter Obama” sign? Where does the amorphous Tea Party Movement fit into the equation? Are these clues to how the Republican Party will move forward in the future? Or, should party members reach back and take lessons from its own party’s history? Did you know that following the Civil War and during Reconstruction, blacks were very active in Republican Party politics and served in almost every level of government? 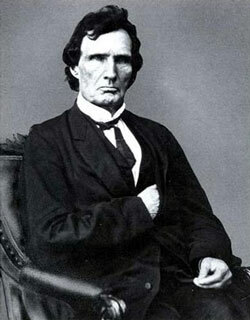 Thaddeus Stevens, the U.S. Republican representative from Pennsylvania, (1849-53, 1859-68), proposed the Fourteenth Amendment. Sincere in his devotion to the betterment of African-Americans, Stevens nevertheless frankly admitted that the legislation guaranteeing them suffrage was designed to keep the Republican party in power. He dominated the committee that drew up the impeachment charges against Johnson, and was one of the House managers in the subsequent trial before the Senate. Stevens requested that he be interred in a cemetery with African-Americans rather than in a burial ground closed to them. For more than a decade, blacks held offices from the United States Congress to state legislatures, city councils, and county commissions. There were two senators and fourteen representatives in the US Congress alone. Blacks held more state offices in the Deep South than any place else. Blacks formed the majority in the House of Representatives for the state of South Carolina throughout that period — a state that gained recent notoriety for having fought vehemently to continue to fly the confederate flag atop its capitol. And for having a representative in the House of Congress who yelled to President Obama that he was a liar during his “State of the Union” address. Since Reconstruction, blacks have not had two U.S. senators to serve in either party. And they certainly do not form a majority in any state’s legislature. The reasons are subjects whose treatment could fill much more space than is available here. But, the discussion is certainly worth having by civic-minded blacks and whites who are interested in making a two party system work better for all groups, irrespective of the outcomes of the November elections. If one party’s philosophy or interests are not representing, or benefiting you and your community, how can you ever hope to change it if you are not sitting around the table in meaningful discussion and arguing the case? What good is it to have your interests looked after for two or four years, but be ignored, if not totally diminished, the next two or four years? Furthermore, how can you fight for what is in the best interest of your state, your city, your community, your family, if you are absent? We have a two-party system of government in this country. One or the other will always be in a position to call the shots about your quality of life. You should make it your business to have a say, no matter which party is in power. The real question today is will African-Americans, like other minorities, take advantage of our two-party system of government; will they use it to address the educational, economic, and other needs that consistently go unmet? Will there be notable and long-lasting gain in positions at the political power-brokering table? That would be a significant step in the right direction.